I am participating in this year's "Build Your Bundle Homeschool Edition" Sale!!! This is an AMAZING opportunity for those who are looking to purchase valuable educational material at GREAT prices! The Bonus: it is NOT pre-selected for you! You choose YOUR OWN BUNDLES! Bundle prices vary, but they range from $10 - $69, which is up to 92% off retail! ****AND if you're a blogger, please consider joining my team by clicking on the top upper right hand banner to become an affiliate. Fun opportunity to make some extra cash AND receive some bonuses for FREE!!!! Now, if you click on the "Pre-Sale Giveaway" button up top, you can have a chance to enter for ONE HUNDRED dollars towards any of your total purchases!!! Okay, on to the post: The SECOND in a series on Homeschooling! If you're considering homeschooling, then there's a good chance you're wanting to plan ahead. It's wise to count the cost and see if this would be a good fit for your child(ren), yourself and your lifestyle. Because in the end, YOU (and your spouse & your children) are the only ones that can determine what will work. For us, we began the journey just over 2 years ago. We said we'd take it year to year. It was a learning curve, pulling all of our children out of school full-time, but I did see a lot of good fruit from the decision. -WHY you want to homeschool? -WHO will primarily do most of the schooling? -the TYPES of learning styles that will work for your child(ren)? 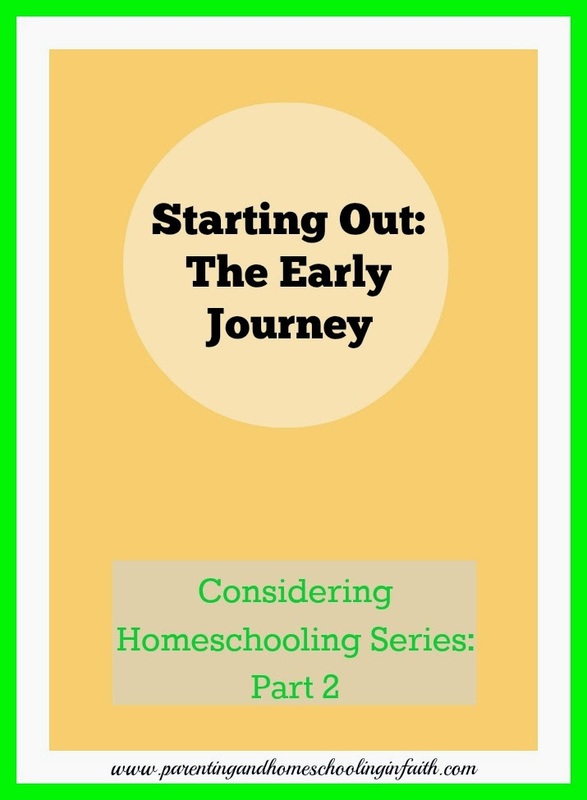 Here's a number of blog posts, from a diverse number of bloggers, about starting out & the early journey of exploring homeschooling! Prepping Yourself For Back 2 School: Top Ten Ways! My husband homeschooled my oldest for kindergarten and I homeschooled her last year for grade one. We love it but we are also going year by year and seeing how she responds to our teaching and activities. I love learning people's different perspectives on home schooling... I am on the fence with my daughter this summer. She is entering middle school, and I have heard story after story of how saturated the culture is with such brokenness. It terrifies me, really. But I'm going to give her a chance.. and stand 'on guard'.